Update, April 16: One of the people who made the jump from Boss Key to Epic disputes the idea that poaching was the cause. Boss Key boss Cliff Bleszinski made some waves on Twitter this past weekend when he suggested that Epic were “hiring away” his team, following up with a comment that “there’s room at this genre for more than a few games.” One of the employees who made the jump suggests there’s more to the story the Epic headhunting, however. We’ve put together a set of top tips for Boss Key’s new Radical Heights. 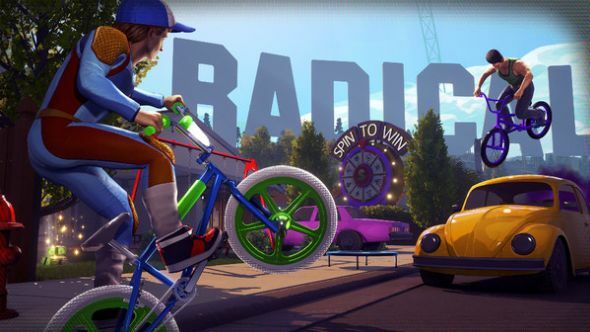 McCarroll had transferred to Epic a few weeks before Radical Heights was unveiled, tweeting best wishes to his former Boss Key colleagues in March. Epic and Boss Key have quite a bit of shared history. Bleszinski himself spent decades at the company as a designer on everything from Jazz Jackrabbit to Gears of War, and co-founded Boss Key alongside fellow Epic alumnus Arjan Brussee. Brussee returned to Epic last year to “work on an exciting secret project,” and it seems he wasn’t alone. When Boss Key began work on their first project in 2014, it came with news of a number of staff acquisitions from developers including Ubisoft Montreal, Irrational Games, and yes – Epic. Both LawBreakers and Radical Heights are built on the foundation of Epic’s Unreal Engine, as well. Original story, April 14: Boss Key founder and former Epic Games director Cliff Bleszinski took to Twitter Friday evening to ask his former employer to stop trying to “hire away” his team. This week, Boss Key launched Radical Heights, the ‘80s-themed battle royale game that is currently in “X-Treme Early Access” and now a direct competitor with Epic’s runaway hit Fortnite. And while Bleszinski tweeted that there’s room in the genre for “more than a few games,” the public call-out reflects the inevitable industry tension as studios struggle over limited resources and player attention. GamesIndustry.biz published an article Friday morning that looked at precisely this phenomenon in the increasingly-crowded battle royale space, comparing it to the MOBA boom that’s only recently tapered off. “[N]o matter how commercially gigantic those trends have been, they’ve never really been able to support more than a handful of huge games, squeezing out any chance of an ecosystem for smaller or medium-sized titles,” they wrote. It’s notable that Boss Key’s first game, LawBreakers, also launched late into a crowded genre. The class-based shooter introduced some new ideas like zero gravity areas, but it wound up competing with Blizzard’s Overwatch, and ultimately flopped – although LawBreakers publisher Nexon attributed the game’s failure primarily to PlayerUnknown’s Battlegrounds. Whatever the case may be for Boss Key and Epic, the battle of the battle royales is probably only just getting underway.